Hello guys, if you remember, one of my goals was to learn Spring Boot in 2019 and I have started working towards it. As I have talked about my 3 point action plan to learn a new technology, the first step is to attend some online courses and start building from that. If you are not sure what is Spring Boot and why should you learn Spring Boot then let me tell you that it should be the first Java framework you should learn in 2019. The Spring Boot makes it really easy to work with Spring framework by removing all the starting hurdles with respect to setup and configuration. In one word, it makes it possible to write Spring-based Java application and run them like core Java application e.g. from the main method. If you have used Maven then you know that how a simple concept like "convention-over-configuration" makes it easy to work with a new technology and Spring Boot is the Spring's convention-over-configuration solution. Spring Boot also have the great ability to be customized and enhanced and is specifically designed to simplify the development of a new Spring application. You can use it to build RESTful Web Services, MicroServices, and Java web applications, just like you do with Spring MVC, but with much more ease and less work. 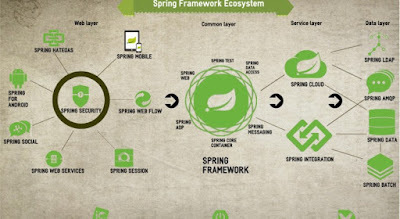 Spring Boot just makes the Java Development with Spring framework easier. For example, the Starter POM brings together compatible and necessary JAR in one short while the auto-configuration features take care of configuring Spring Beans by detecting relevant JAR files on the classpath. You can then use Spring Boot's Actuator to see what's happening inside Spring Boto application and if you know Groovy, you can even use the Spring Boot CLI to quickly create a web application. 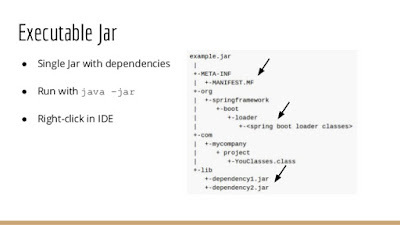 All these goodness really makes developing Java application with Spring Boot a breeze. This is another great course on Spring framework by Ranga Karnam from in28Minutes tutorials. I have attended a few of his courses, particularly the Microservices with Spring Boot one and I really liked his explanation and his approach to teaching a new technology in step by step manner. Like other courses, this course is also focused and you will learn a lot about key Spring Boot concepts e.g. 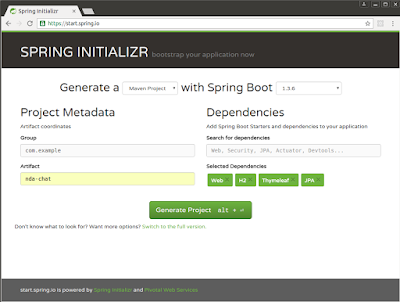 Spring Initializr, Spring Boot Actuator, and Profiles and Dynamic Configuration with Spring Boot. You will also learn about developing RESTful web services using Spring Book, developing and testing application in Spring Boot, connecting to the database and learning all the important things which are used in day to day job. In short, a great course to start with Spring Boot if you like hands-on, step by step based learning. This is a more comprehensive course than previous which will teach you Spring Boto using Java and Groovy, but still a crash course. The instructor Dan Vega covers a lot of topics in this course e.g. you will not only learn how to set up your development environment and fundamental of Spring boot but also how to develop web applications using Spring Boot. The course also covers data access using Spring Boot including JDBC, Hibernate, JPA and NoSQL database like MongoDB. You will also learn about Security and Building REST APIs, one of my primary reason for learning Spring Boot. Overall a good crash course to learn Spring Boot for Java developers online and you can start it even if you don't know much about the Spring framework. If you have a Pluralsight membership and looking for a good course to learn Spring Boot then this is the one you can check out. In this course, Dustin Schultz will teach you the Spring Boot framework and how it works in the Spring Ecosystem. The best part of this course is that you'll learn Spring Boot by building a full Spring Stack app from scratch. The course starts with teaching you how to build a Spring application and run like a core Java application i.e. 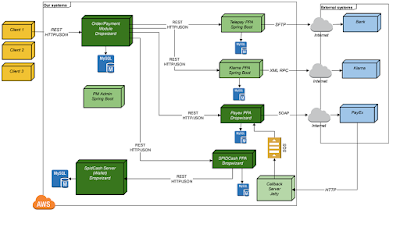 without XML configuration file and container, which can also be deployed in the cloud. After that, you will learn about the Spring Boot starters, which allows quick and easy integration with many Spring technologies and 3rd Party libraries and frameworks. After completing this course, you should be able to understand Spring Boot architecture and how it plugs in and works with core Spring. Overall, a great hands-on course to learn Spring Boot, but you need a Pluralsight membership to access this course, if you don't have one, you can also take benefit of their 10-day free trial to see this course, which provides 200 minutes of free access to all their courses. This one is another good course on Udemy to learn Sring Boot, particularly if your focus is on developing microservices. The author, Ranga Karanam of In28Minutes has explained the complex topic of microservice and Spring Boot in simple language. I have now become a fan of their step by step learning and 80-20 rule, where they teach 20% things which we used 80% on time in-depth. I think that's the right way to work with new technology and that's why I am able to correlate from their courses. Along with Spring Boot, this course covers both RESTFul web service and microservices, so, if your focus is to learn any of these technologies this is the right course to join and you can get it really cheap in $10.99 on Udemy most of the time. This is a short course to start with Spring Boot, which will teach you Spring Boot in just 1.5 hours. Even though the course is short, I really like the content and the instructor Nelson Djalo and his teaching style. If you are in hurry to learn Spring Boot, maybe you have to work on Spring Boot from next Monday then this is the course for you. It will help you to get going in no time. That's all about some of the best courses to learn Spring Boot in 2019. If you also have a goal to learn Spring Boot framework in 2019 then these courses are good to start with. Once you know the basics and got understanding of how Spring Boot works, you can go on and build your first project in Spring Boot. That'll be something you should proud to do in 2019 as part of your Spring Boot learning journey. Thanks for reading this article so far. If you like find these courses useful in learning Spring Boot then please share this post with your friends and colleagues on Facebook. If you have any questions or feedback then please drop a note. P. S.- If you are keen to learn Spring Boot but looking for some free resources to start with, you can also check this list of free Spring and Spring Boot courses for Java developers.